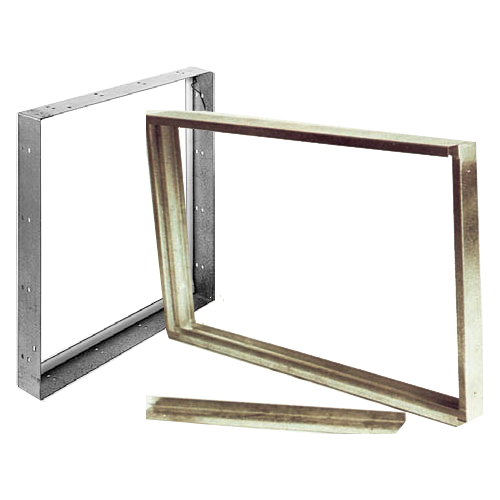 These frames are used by air handling unit contractors, ductwork and building service contractors. They can be used in AHU�s or installed directly into the fabric of a building. Larger installations can be catered for by bolting frames together, to form increased face area. Front withdrawal frames accept single or pre and secondary filtration by increasing the retaining clip sizes. Frames are fitted with retaining clips, and gaskets to eliminate air by pass. Manufactured from galvanised mild steel or stainless steel. We offer a comprehensive range of Front Withdrawal, Side Withdrawal and Pad Holding Frames in standard and non-standard sizes supplied individually or in multiples. Housings for all types of filters are also available in both standard and non standard sizes. Please contact us for full details of the range.